Welcome to Elkhart Catering, an event and wedding catering company. We understand that weddings are one of the most important days of your life. You can be assured that we'll deliver nothing short of first class food as per personalized menu. We cater for various sizes of wedding parties ranging from intimate gatherings to grand events regardless of how tricky the location is. Our catering company is run by professionals who can plan a personalized event to delight the wedding visitors. Our team of experts includes chefs and cooking specialists with many years of experience. They can match up different styles and budget requirements. The catering solutions are aimed at enhancing the grand wedding event and offering complete peace of mind. Apart from taste, the chefs place emphasis on design and presentation of food. They have a proactive approach and focus on every single detail throughout the steps. It is completely your choice to select from our standard menus. We'll provide you with unlimited choices to make in starters, main courses and desserts. We can also provide specialized event, bar and waiting staff to make the sure event is successful. They can offer expert assistance while planning the other aspects to make the day special and unforgettable. We are passionate about organizing the event ranging from setup, staffing and service to taking down and cleaning. Thus, you can just relax, sit back and enjoy the time by entertaining all your wedding guests. There are different service packages available which can be tailored to meet the exact customer’s requirements. Our experts and wedding specialists have devised personalized menus, photogenic dishes in order to create an experience which is unforgettable. Emphasis is also given to cleanliness in order to maintain the strictest possible hygiene standards. Full catering service packages also take care of special dietary needs of the visitors. After catering to the needs of so many weddings, our experts can also provide guidance and suggestions to make the event special. Ranging from initial set up to ultimate clearance, they have unconventional and creative ideas to wow the visitors, all of which can be planned and executed timely with their assistance giving an unparalleled peace of mind. We only provide catering to eco-friendly weddings and do our best to keep the environment safe. There are some extras and free services that are given as complimentary gifts for your special day. Anyone is welcome to contact us as per their convenience through phone or email. 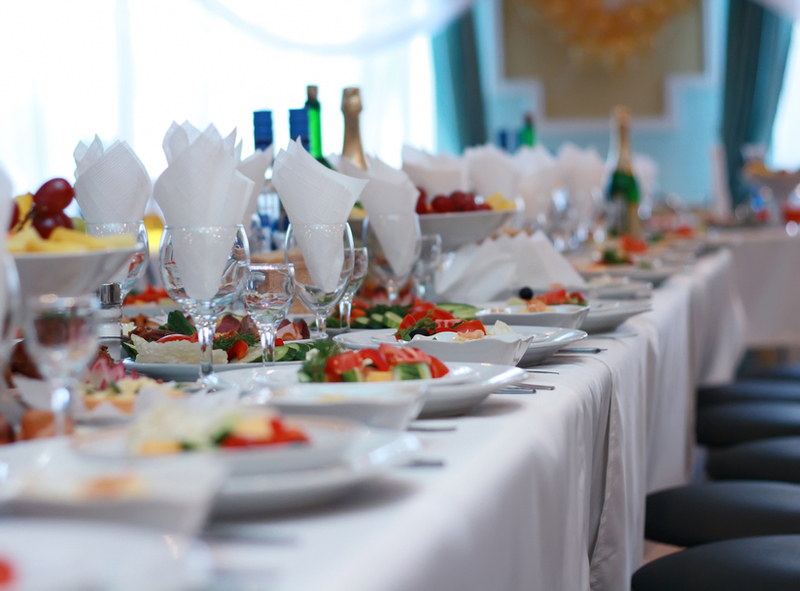 Our professional caterers come together and strive to create a successful event for clients. Leave it to us as we'll take your worries to bring your vision to reality. Be it cuisine, decoration, setting up, staffing and other aspects, we'll give genuine care and attention to everything. We are also well equipped to take care of nitty-gritty things which may consume a lot of time otherwise. Our services and quotation covers equipment hiring, crockery, linen and glasses, etc. You're likely to find everything in our official site and book for bespoke wedding catering services. We'll leave no stone unturned to deliver only the best.